Sony has announced its digital paper tablet DPT-RP1. The new paper tablet is similar to Amazon’s Kindle e-readers. However, it will cost you around $700. Sony DPT-RP1 digital paper tablet features a large 13.3-inch display with the resolution of 1650 x 2200 dots. The screen is a “non-slip” panel, which the company says will improve the experience of annotating documents with the included digital pen. The new tablet design is also thinner, lighter, and faster than the previous version. According to the company, the entire device is roughly as thick as a stack of 30 pages of paper. A new Digital Paper App for Windows and MacOS makes it easier to convert websites and documents to PDF form and send them wirelessly to the DPT-RP1. 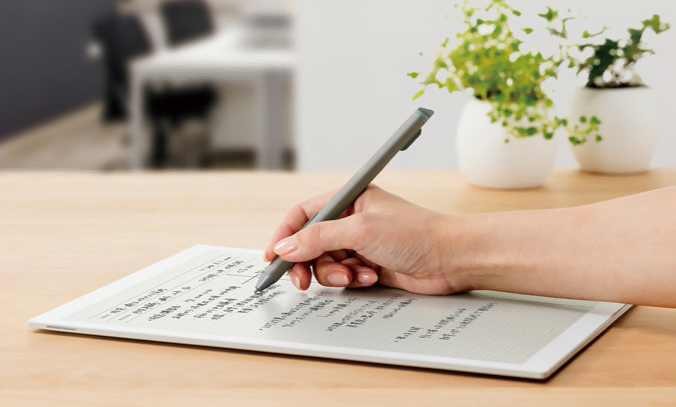 The new Sony DPT-RP1 digital paper tablet will go on sale in Japan for around 80,000 yen (roughly $719) on June 5th.